Houston Dome Project: Are the Environmentalists Right? Can a Geodesic Dome Save the City of Houston? Recently the Discovery Channel aired an episode of Mega Engineering (video shown below) that mentioned constructing a geodesic dome over the city of Houston. Could this Houston dome project really be the fourth most populated US city's only hope, as some environmental experts urge? As a resident of Houston, I have to admit that I am skeptical of the Houston dome project for a few reasons. What Does The Dome Need In Order To Work? The dome must contain a clear material that can fill in all the holes in the frame, act as windows, and be able to withstand very high winds and other forces of nature. However, for a structure large enough to cover even just Downtown Houston, the material would need to be lightweight, but durable at the same time. According to clips shown on the Mega Engineering episode, a material called Texlon ETFE can make that possible, as well as protect the Houston dome from winds of up to 180 MPH. That wind speed is faster than even the most forceful winds of the strongest category 5 hurricane. This brings experts to the conclusion that in combination with the specially-designed steel structure, the Houston Dome project could be successful. The Texlon ETFE also can hold up to fire and water. That's great that there is a protective solution to hurricanes and other natural disasters that plague Houston, such as flooding. But, how will life be sustained inside this geodesic dome? True, there will be air conditioning (and boy does Houston need that during the summer), but what about growing plant life? How well will it do under the dome? What if people in Houston want to actually feel the rain or the sun - you know, the way it feels naturally? What about feeling the warm Houston breeze on my face or picking flowers in a field (or the backyard)? Would the kids and I still be able to do that under a giant geodesic dome? True, there would be entrances and exits, but I wonder how many people would really travel to the other side of town every single day just to get that taste of "outside" air. Is This Really The Only Way To Save Houston? Some environmentalists seem to feel that the Houston dome project is the only way to save the city. I'm all for preserving nature. In fact, being Earth-friendly is high on my list of everyday living. But, I want to know how exactly the very nature being potentially saved will thrive inside of a man-made structure instead of being in...well, nature itself. Houston has been referred to as the number one contributor to greenhouse gas, which comes from energy use. Increased emissions of these gases could cause climate change, which is one of the the main reasons these environmentalists say Houston needs saving. While the dome would just go straight over the buildings and nature located in its designated area, for me it just would not feel the same. 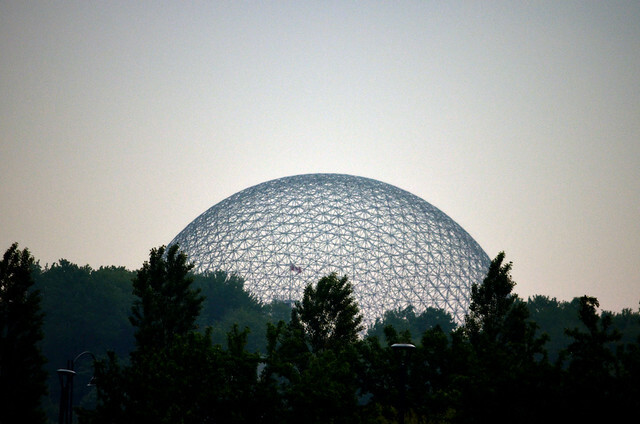 Plus, is a large air-conditioned dome even good for the environment? It may save the city from hurricanes and tornadoes, and perhaps even climate change. But, what sort of damages could it potentially cause? Since these materials are so strong, what happens to them if this structure gets built and then it's discovered it either doesn't work or it's unwanted? That would be a very large amount of waste being contributed to the Earth. Also, if the entire city is under a dome, where are the greenhouse gases going to go? Will the people, like my asthmatic children, be breathing that in? Are the benefits greater than the risks? Is Houston Really In Need Of Such Drastic "Saving" Measures? Perhaps experts have thought of these things and perhaps the geodesic dome could actually work. I have many more questions and am still questioning whether the city of Houston really needs such drastic saving measures as the Houston dome project.